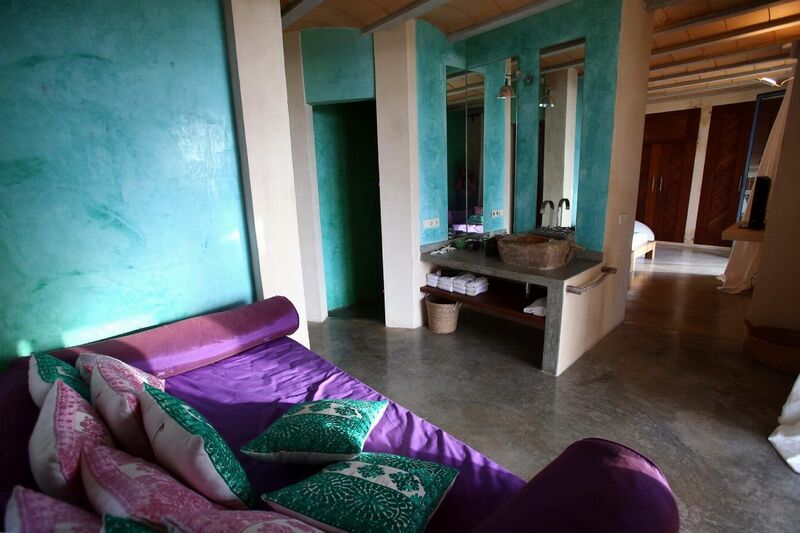 High Season: 5 times (Monday- Friday 3 hrs) and a welcome package included. 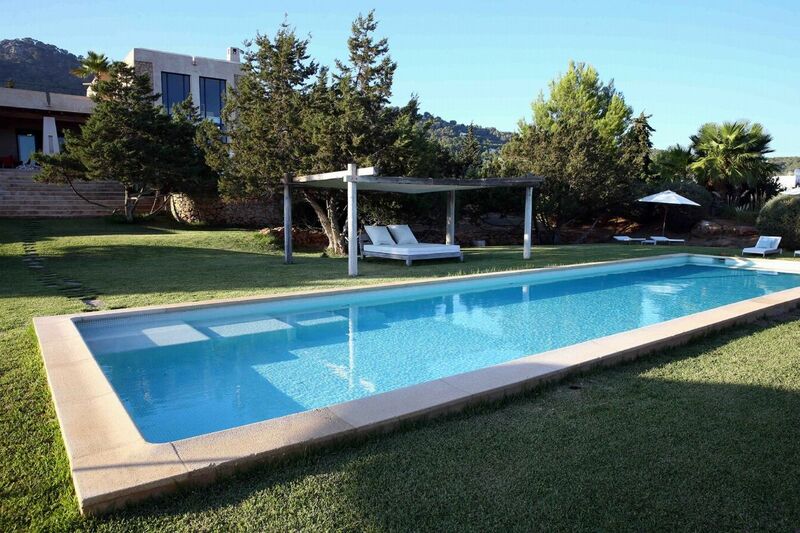 Low Season: Twice a week (3 hrs). 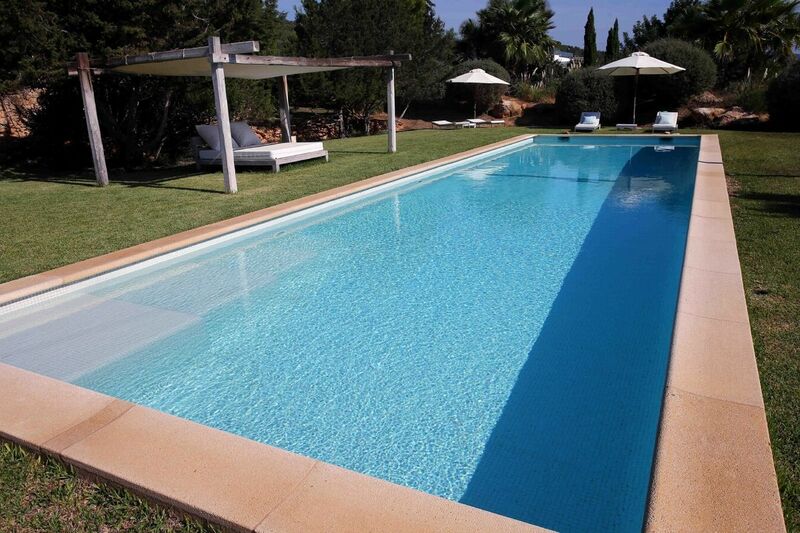 Winter: Once per week (4hrs). 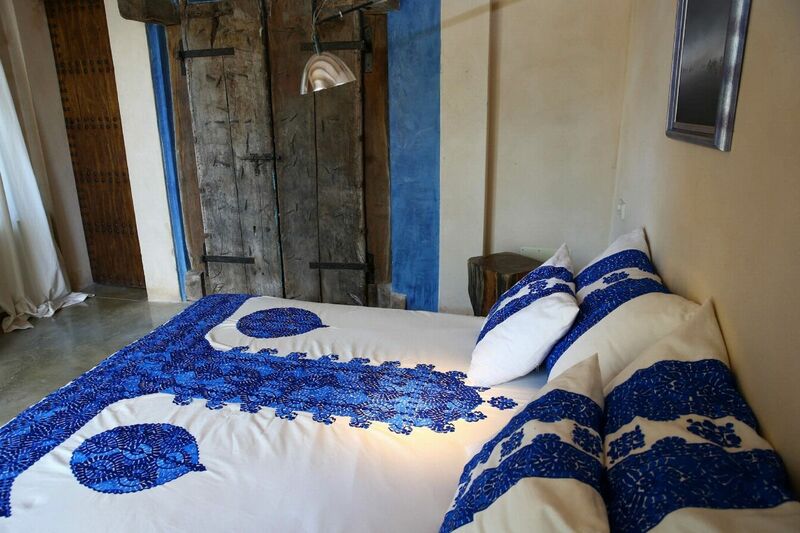 Linen change: once per week. 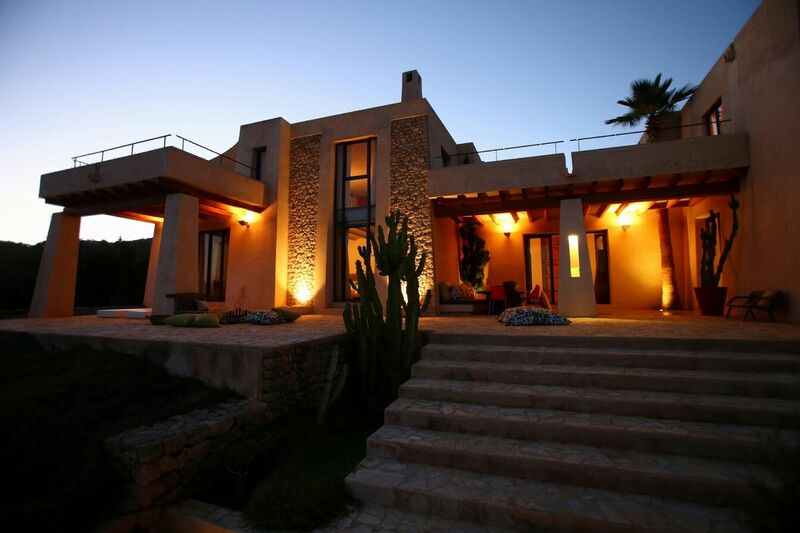 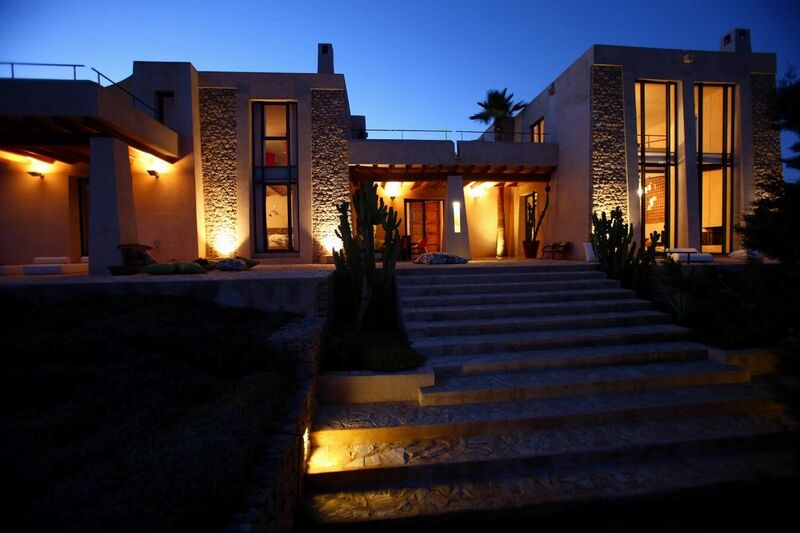 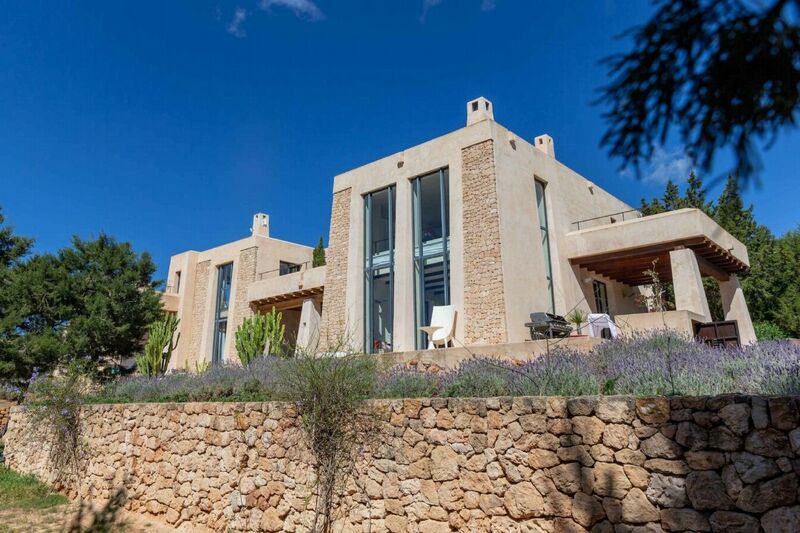 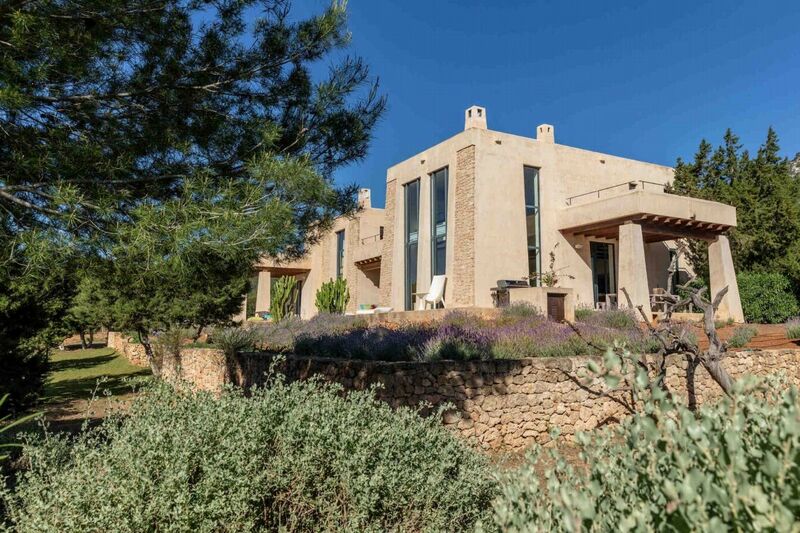 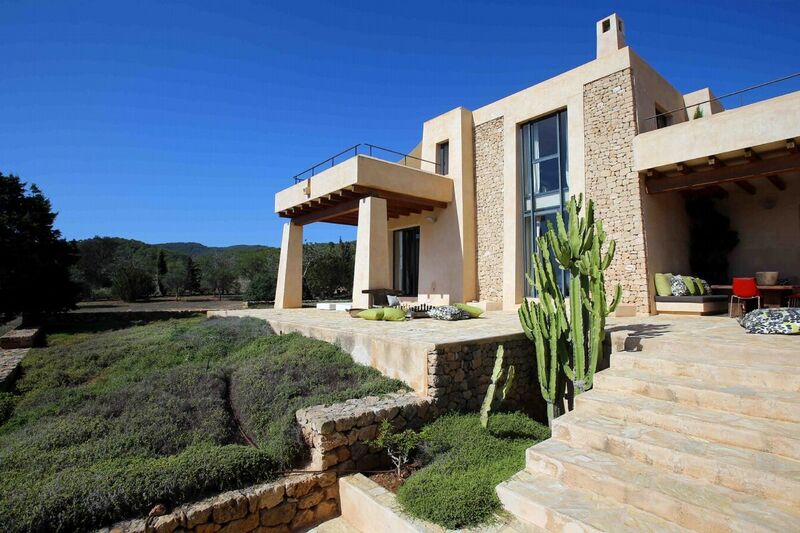 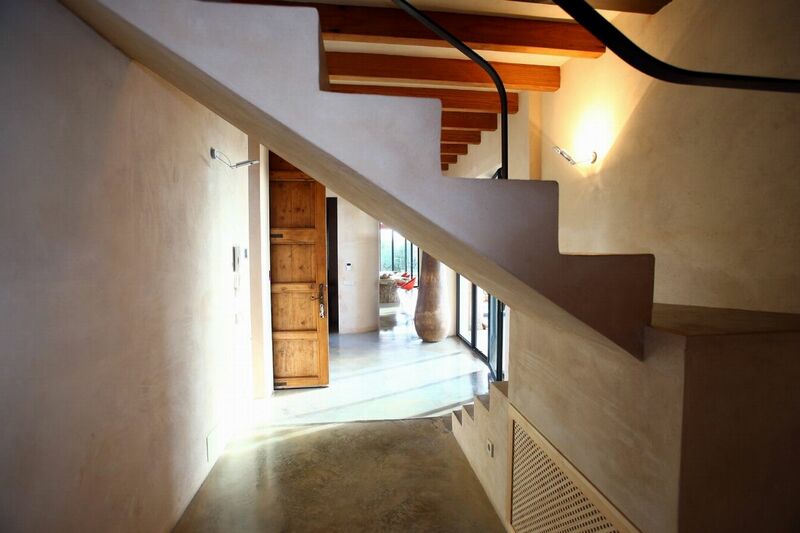 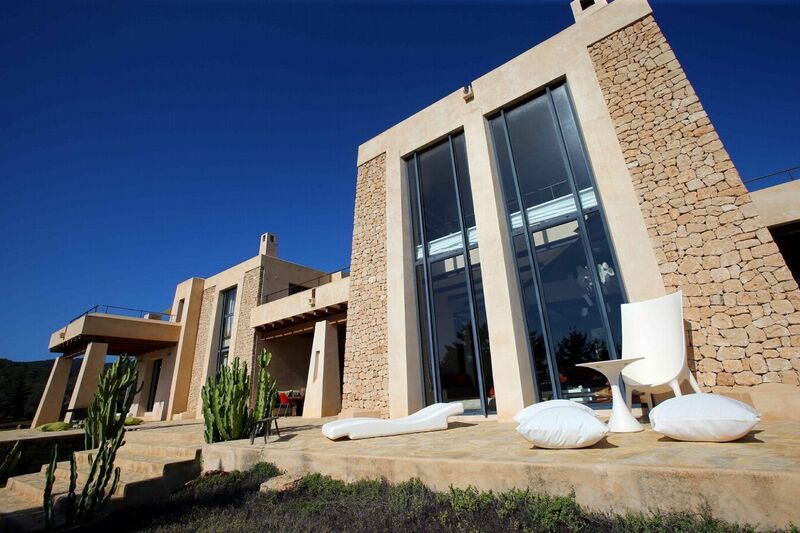 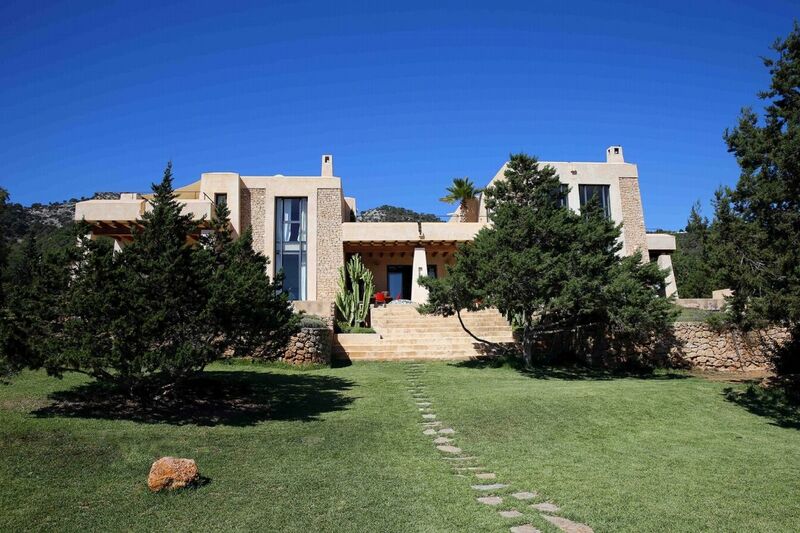 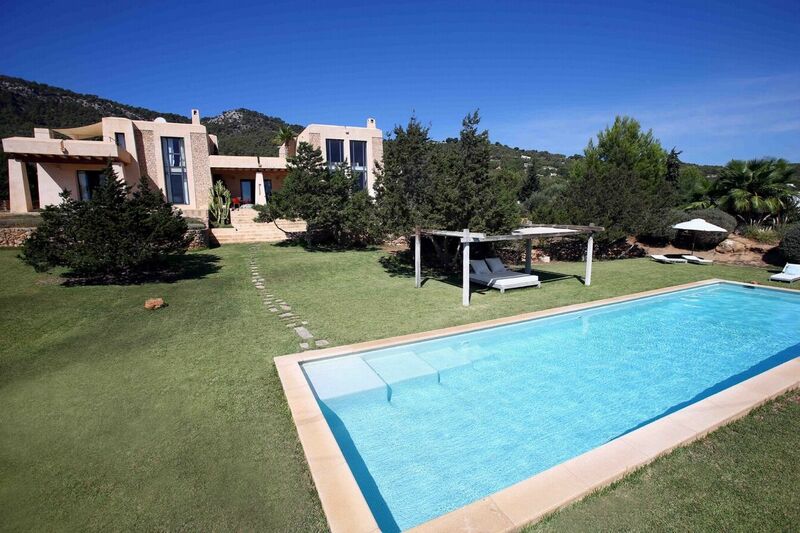 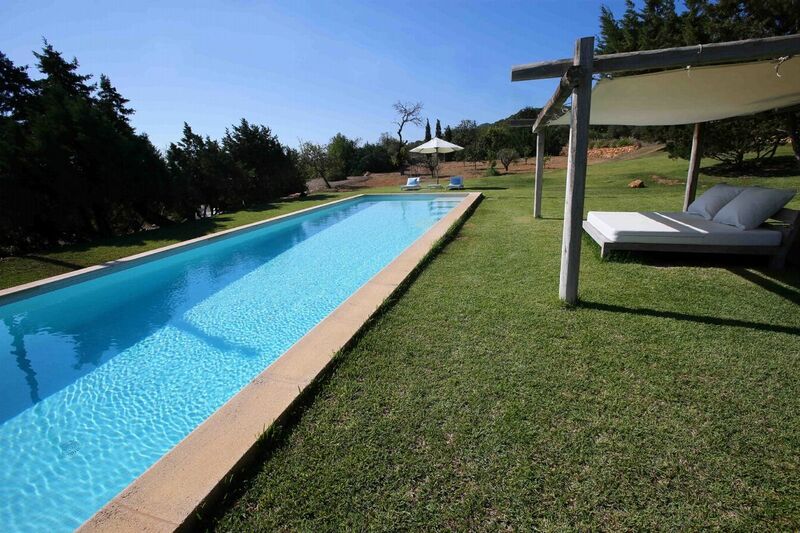 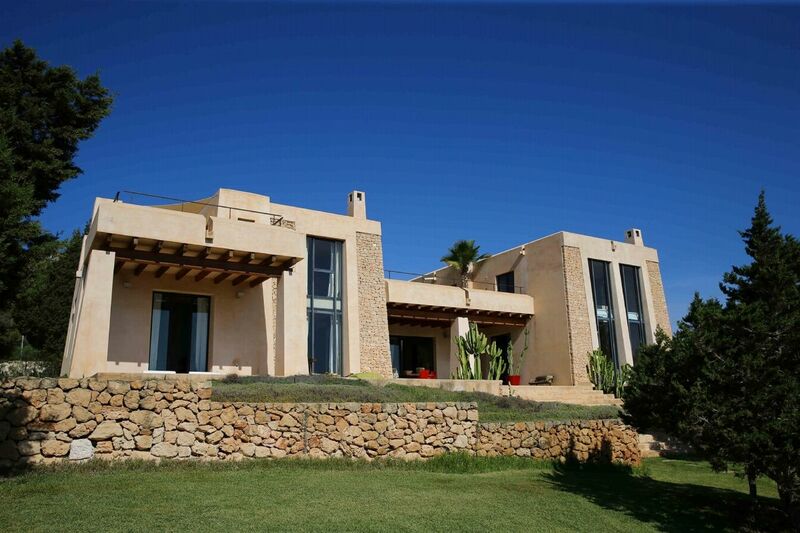 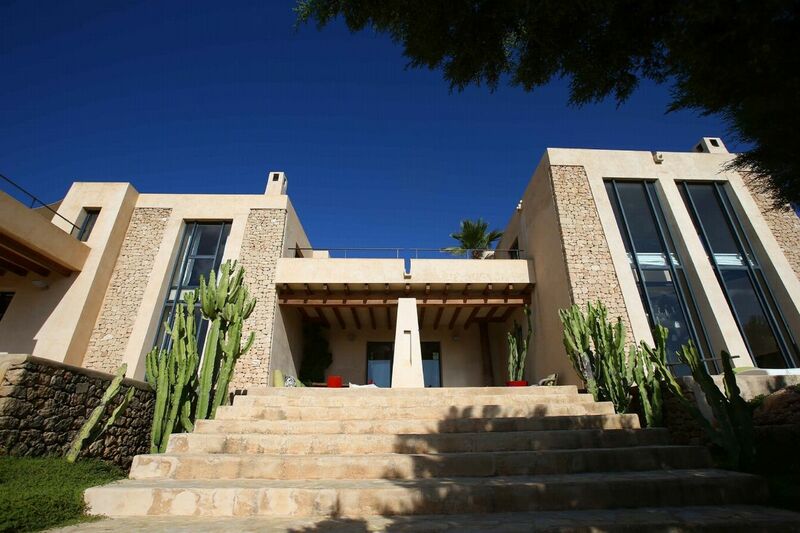 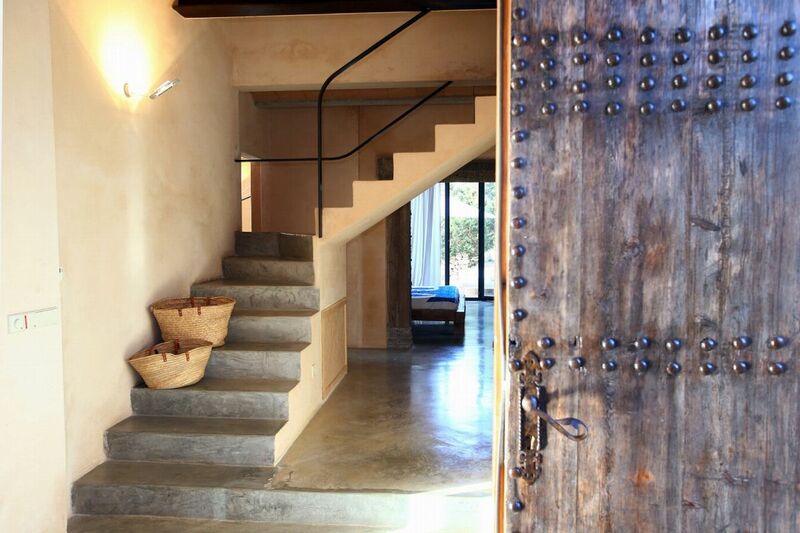 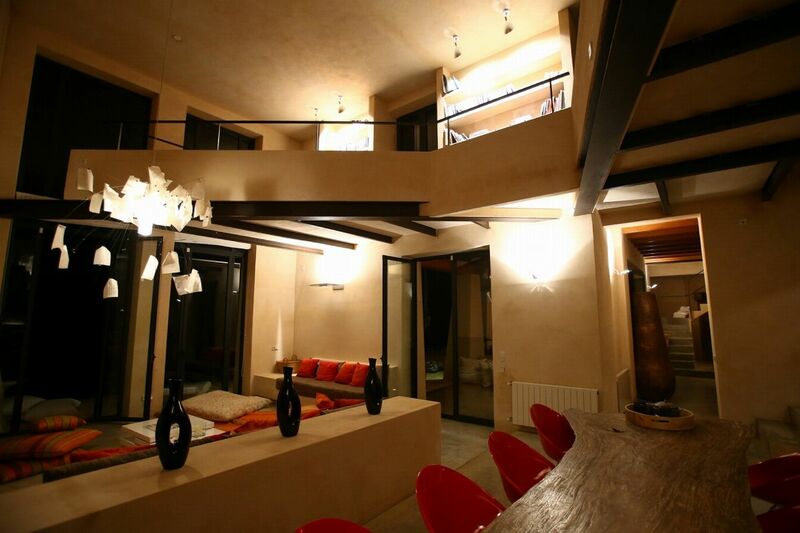 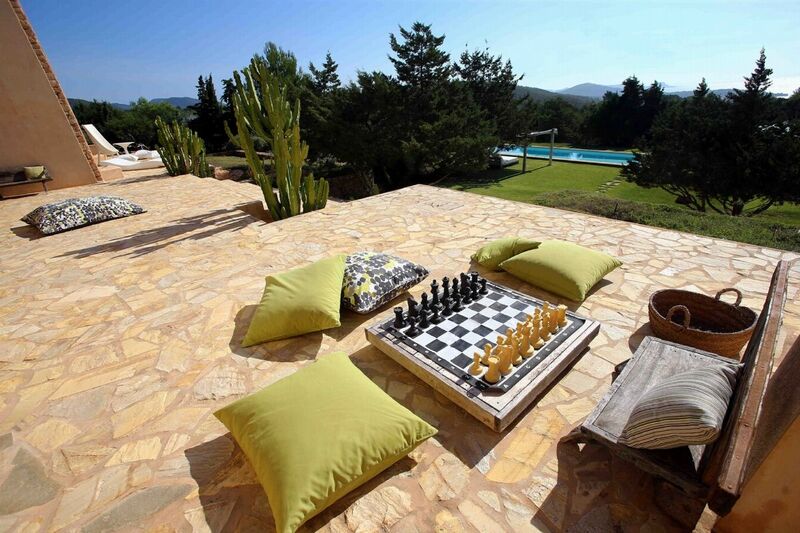 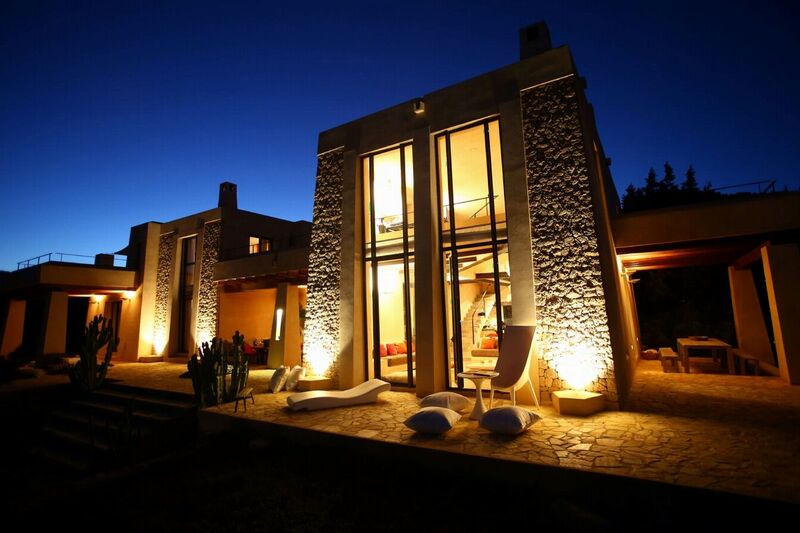 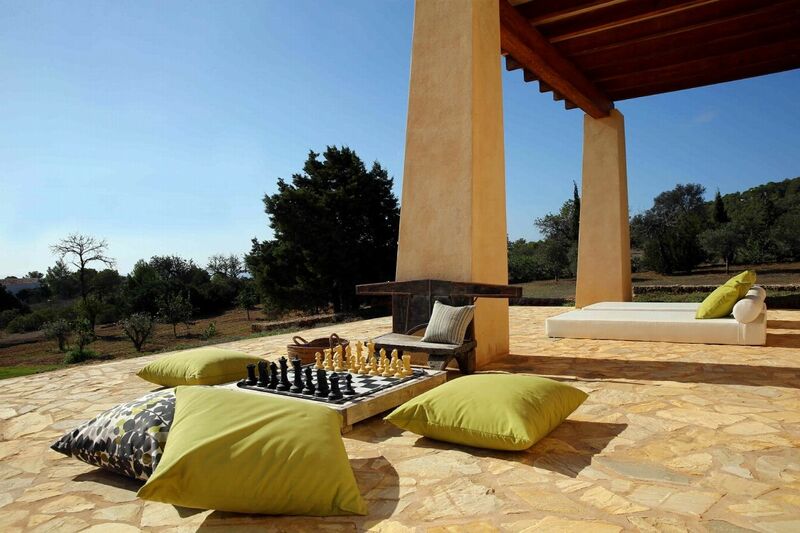 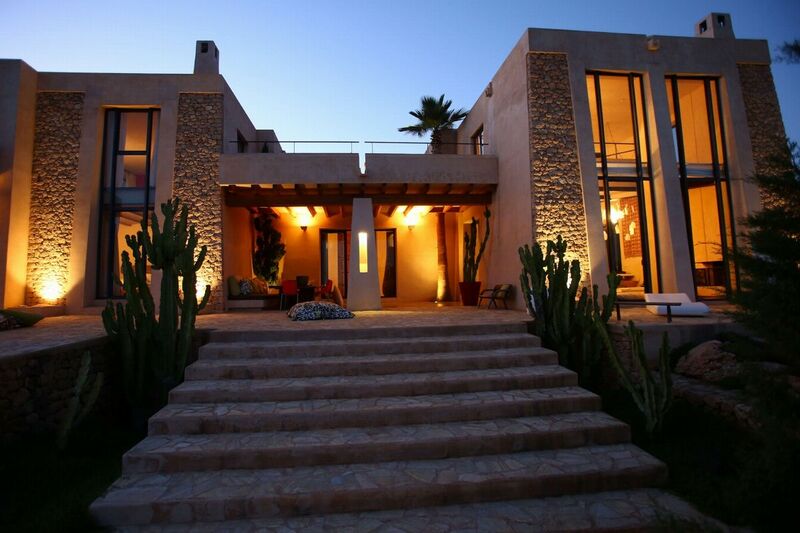 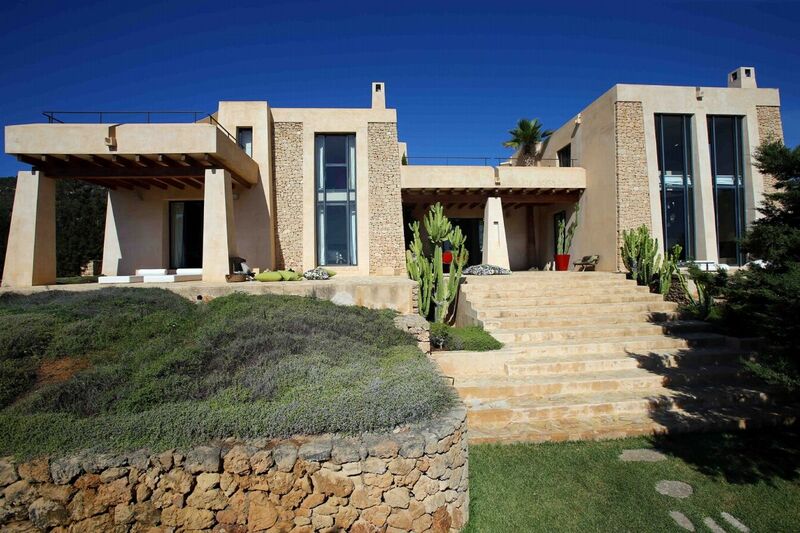 This imposing Ibizan villa is just a short walk from the pretty village of Es Cubells and close to Ibizaâ€™s golden mile. 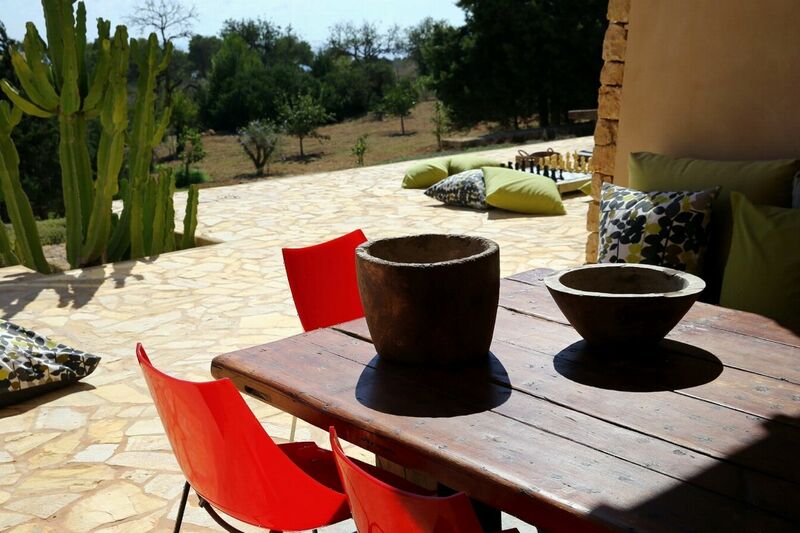 The laid-back chic, rustic beachside dining at Ses Boques, and three picturesque pebbly coves of Es Cubells make this part of Ibizaâ€™s coast a sought-after destination. 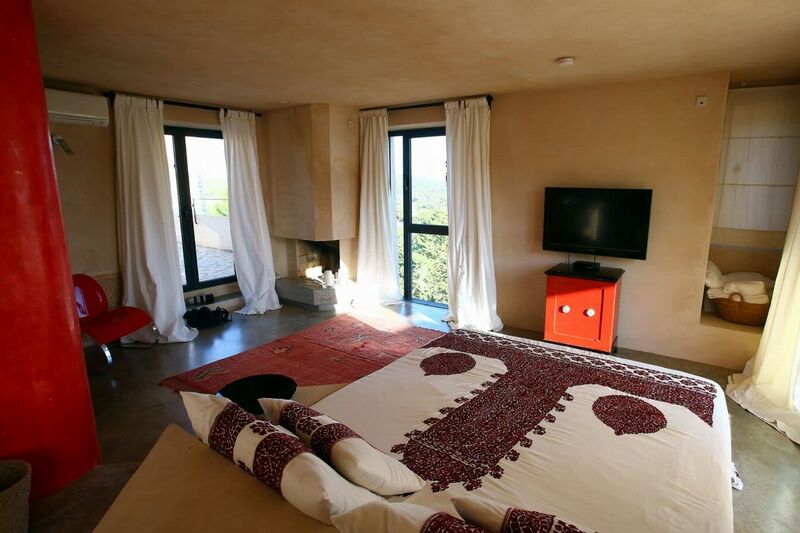 From its hillside vantage point, Castillo de Es Cubells is a stylish base from which to enjoy everything the area has to offer. 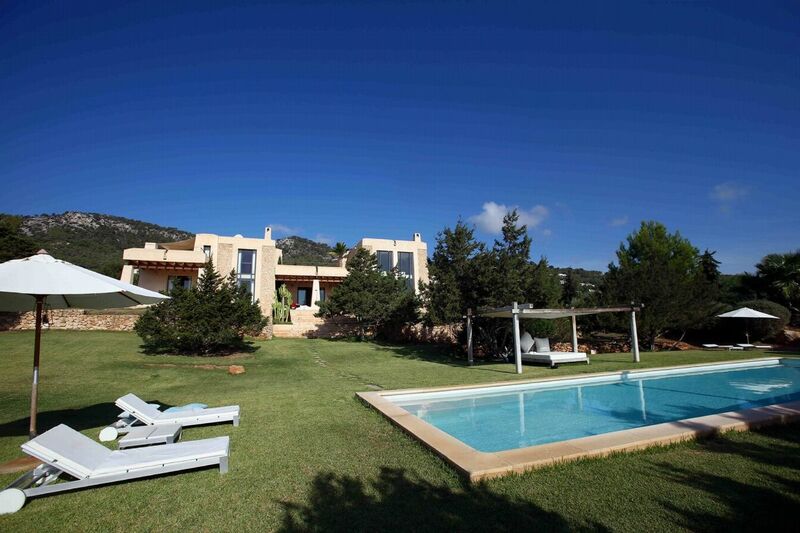 Behind the villa, dark forests of pine creep up craggy hillsides and before you stretches a magnificent view of the Mediterranean Sea shimmering on the horizon. 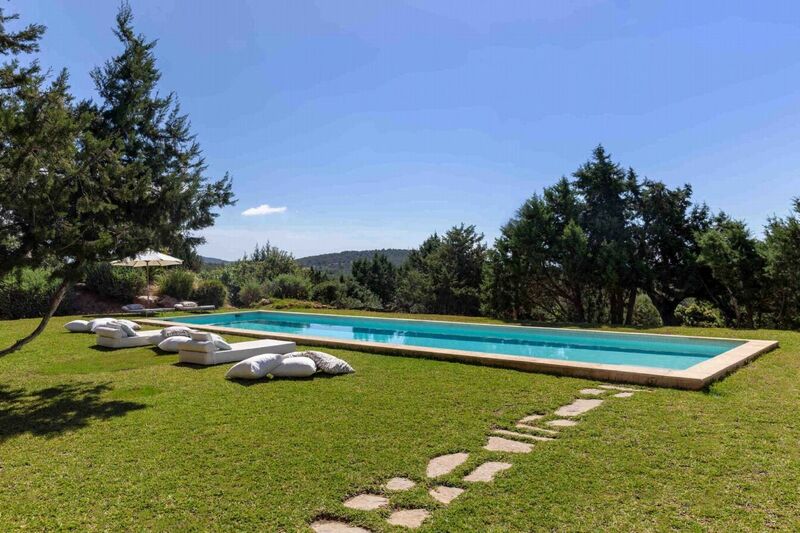 The rustic flagged terrace leads out to the villaâ€™s large lawned and tree-filled gardens to the fabulous pool. 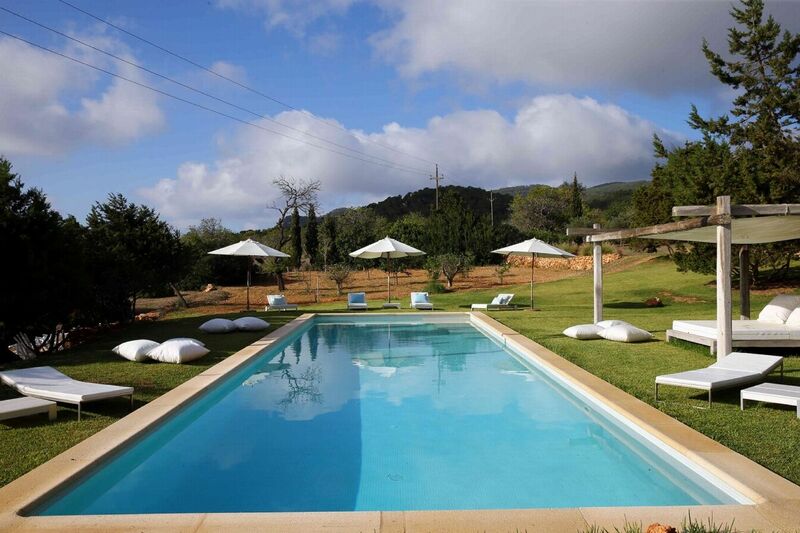 Relax poolside under the shady canopy of the gazebo or pull up a lounger and soak up some of the glorious Ibizan sunshine. 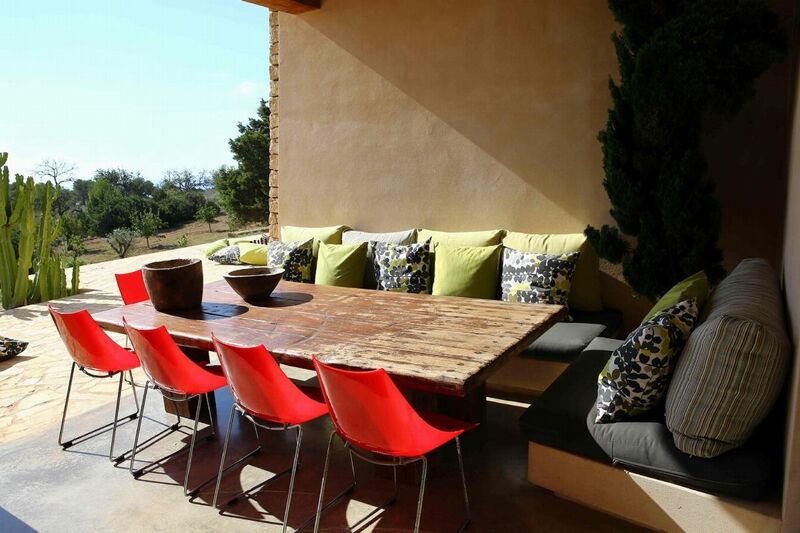 On the terrace, a relaxed dining space and a low-seating lounge area offer more chill out spaces. 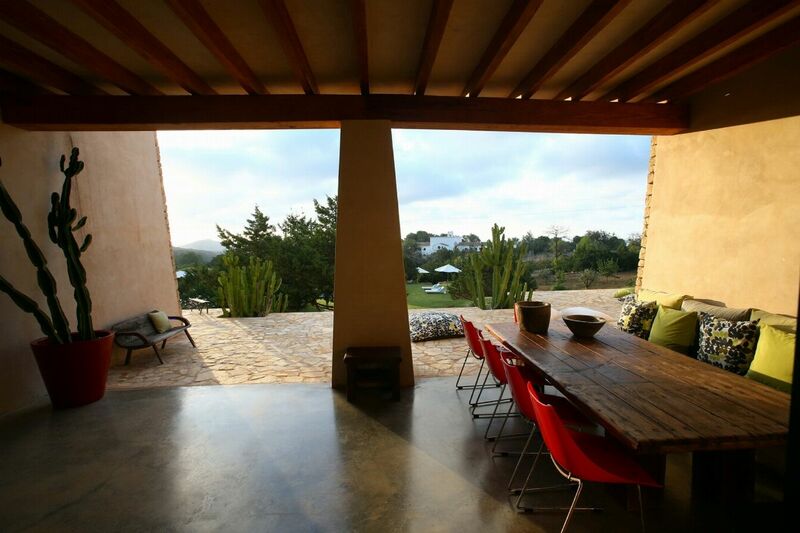 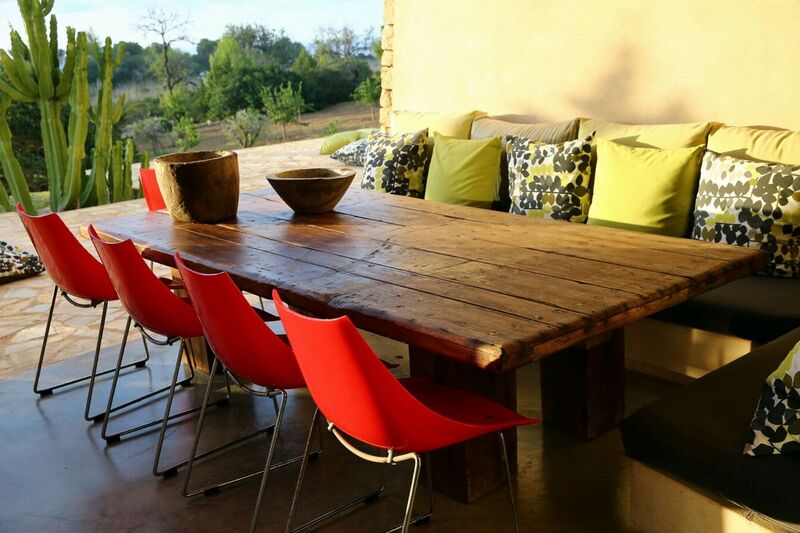 A second al-fresco dining space is located alongside the kitchen, to the side of the property. 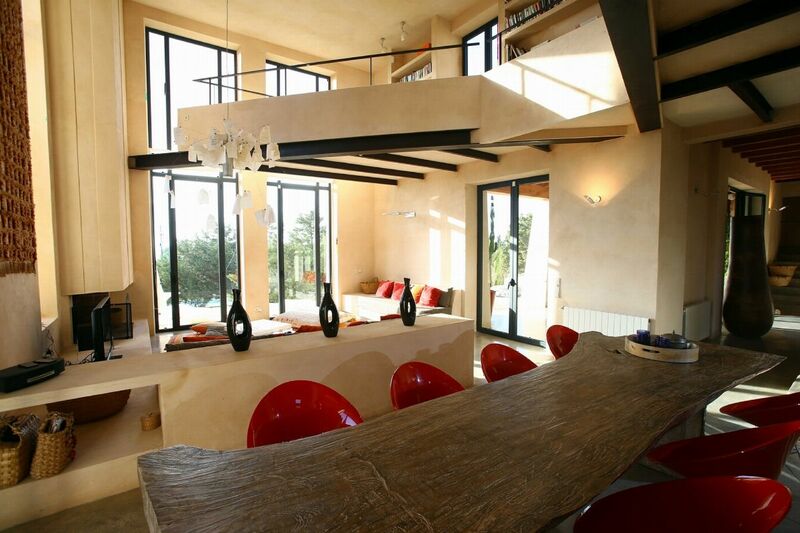 The spacious interior features a double-height lounge area, dining space and a well-equipped kitchen. 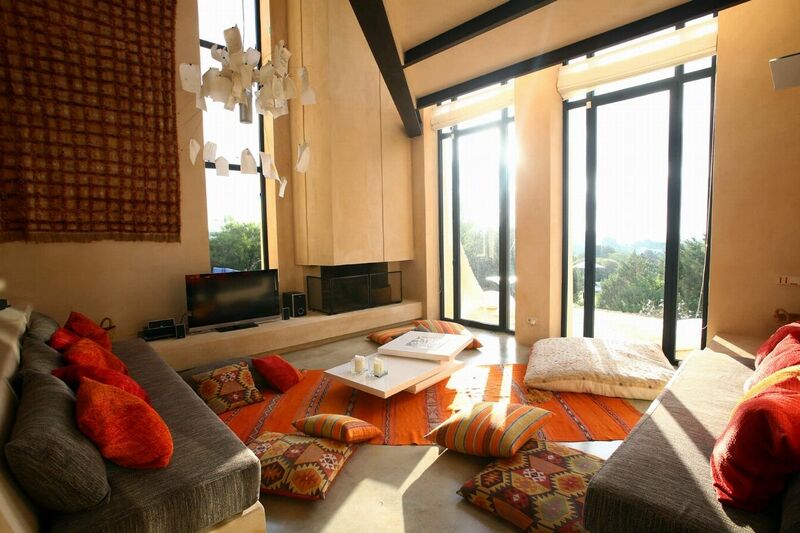 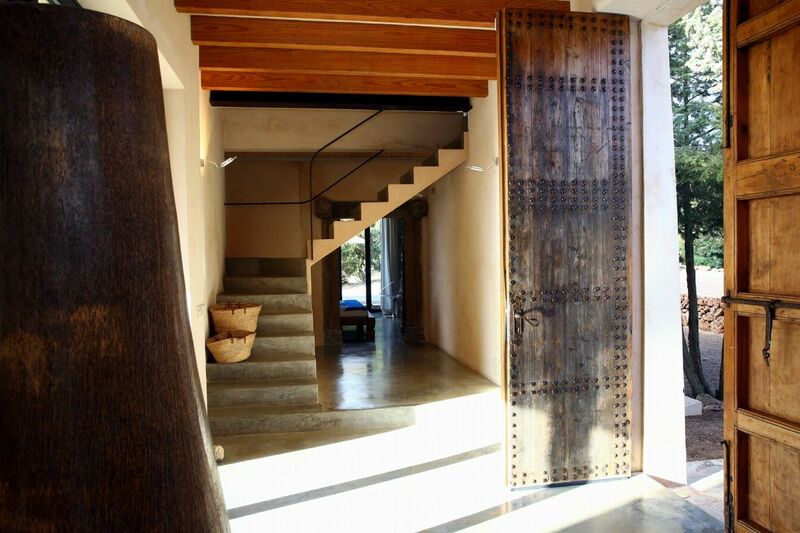 Upstairs, the bohemian vibe continues through the three bedrooms. 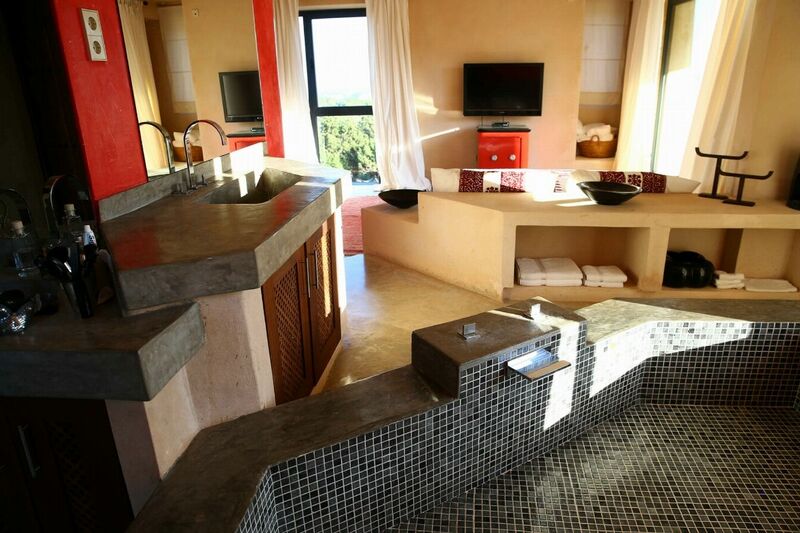 The master suite has a feature bathroom, fireplace and two terraces. 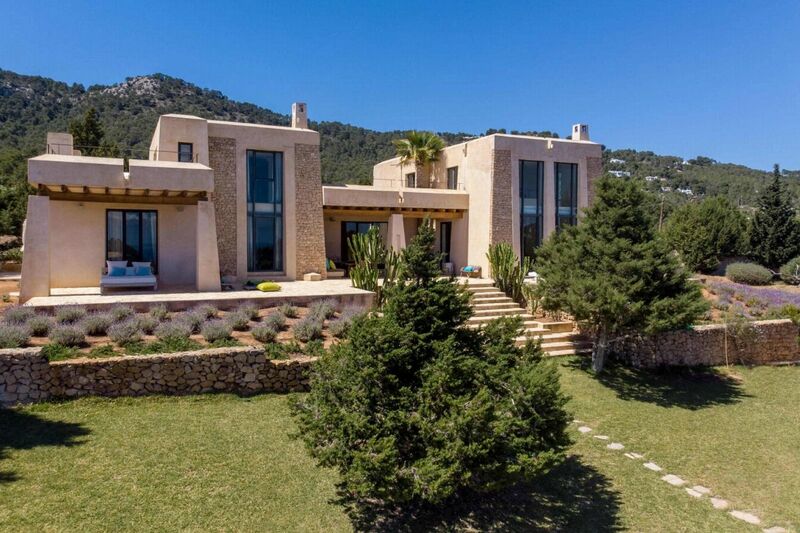 A second double has a private terrace and en-suite. 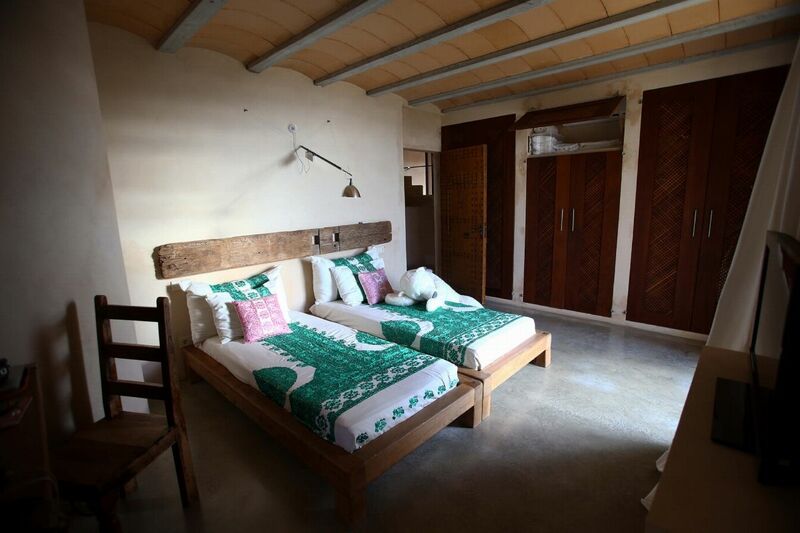 The third bedroom boasts twin beds, private terrace, and en-suite bathroom as well as a lounge area with daybed that can accommodate a further person, if desired. 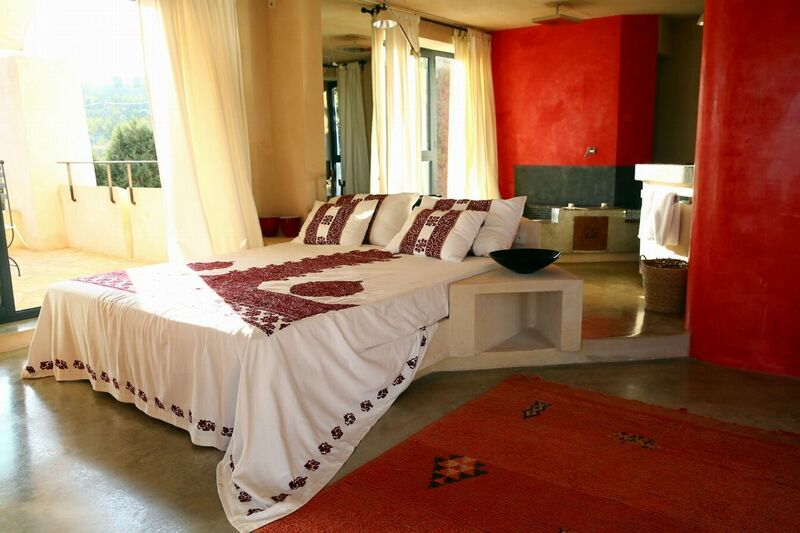 (Red room) - King size bed, a fireplace, two terraces and a fantastic en-suite bathroom. 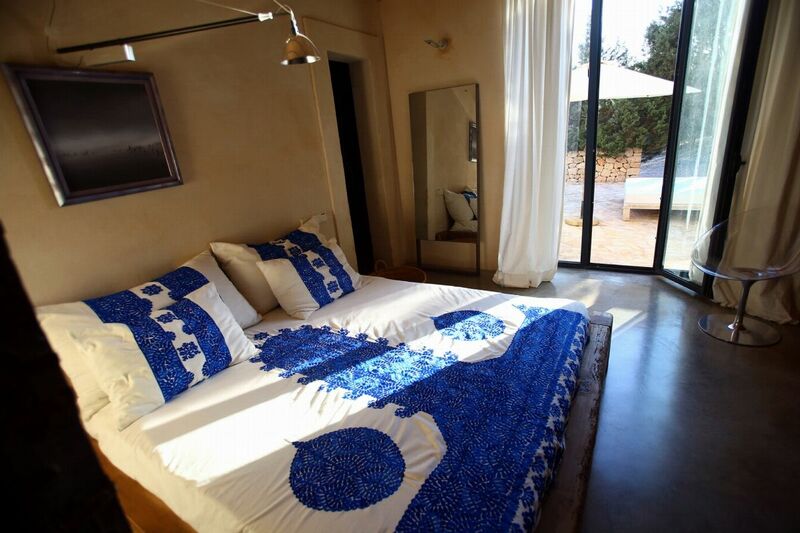 (Blue room) - Queen size bed, private terrace, en-suite bathroom. 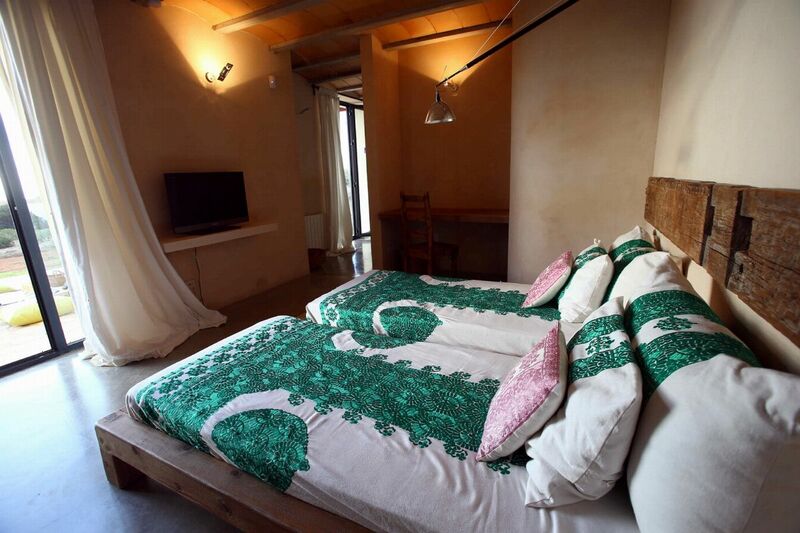 (Green room) - Twin beds, private terrace, en-suite bathroom. 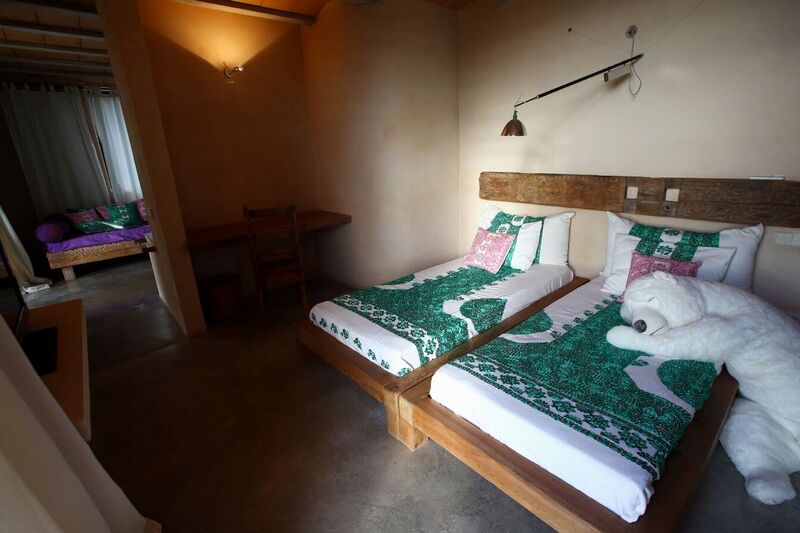 This room has an extra bed for one more person.